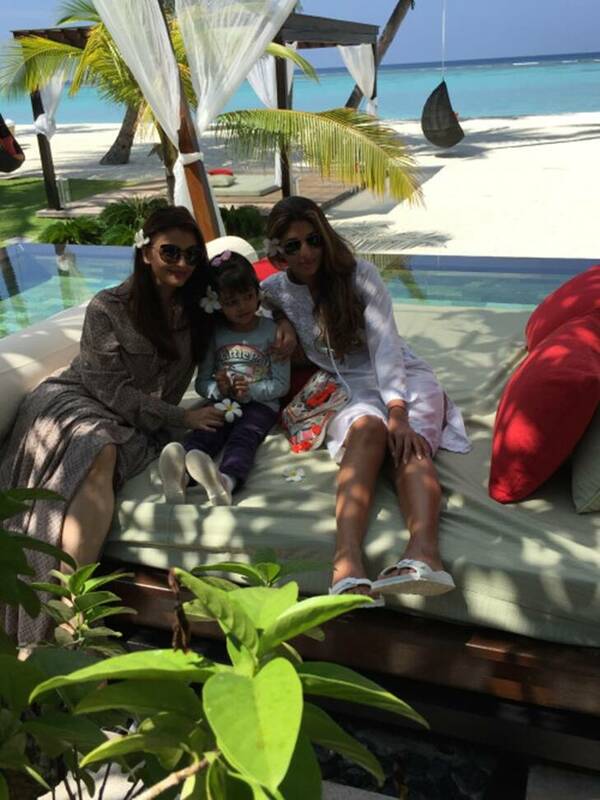 Aishwarya Rai Bachchan, daughter Aaradhya and sister-in-law Shweta are sitting on a beach side as they pose for the picture. Amitabh Bachchan along with his entire family including wife Jaya Bachchan, son Abhishek Bachchan, daughter Shweta, daughter-in-law Aishwarya and granddaughter Aaradhya was in Maldives recently to ring in his son’s 40th birthday. Earlier, the picture which had the entire family on a cruise did the rounds. Abhishek was at the majestic island with his family on February 5.